Dr Chong graduated with MBBS from the NUS in 2004 and obtained his MRCPCH(UK) in 2010. He completed his paediatric training in KK Hospital and was accredited as a specialist for Paediatric Medicine in 2013. He subsequently obtained his Diploma in Practical Dermatology in 2014 and the Master of Science in Practical Dermatology in 2016 from Cardiff University, United Kingdom. He did his subspecialty training under Professor Alain Taïeb at the Department of Paediatric Dermatology, National Centre for Rare Skin Disorders, Hôpital Pellégrin-Enfants at Bordeaux, France. Prior to joining Raffles Hospital, he was a Consultant in the Department of General Paediatrics as well as the Dermatology Service at KKH. 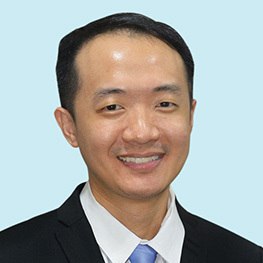 He was an Adjunct Assistant Professor at the Duke-NUS Graduate Medical School, an Adjunct Instructor in the Department of Paediatrics, Yong Loo Lin School of Medicine and a clinical teacher in Lee Kong Chian School of Medicine. He has also published several articles in international peer-reviewed journals, including a review on “Non-topical Management of Paediatric Recalcitrant Atopic Dermatitis” in the Archives of Disease in Childhood. He is a member of the Asthma and Allergy Association. Miho has completed her surgical residency training from Tsukuba university, Japan, and her research/subspecialty fellowship training from Children Hospital of Philadelphia, and Cincinnati Childrens Hospital Medical Center, USA. She received her PhD from Tsukuba University, Japan, and her Master Degree from University of Pennsylvania, USA. 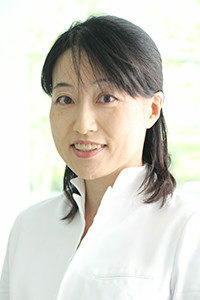 She is currently assistant professor of the University of Tokyo Hospital, Japan. Her research interest is about tissue engineering for fetal anomalies. N.C.K Reddy has acquired postgraduate & higher qualifications from Premier Institutes, PGIMER & AIIMS. He started department of Pediatric Surgery at Rangaraya Medical College, Kakinada, Andhra Pradesh, India. 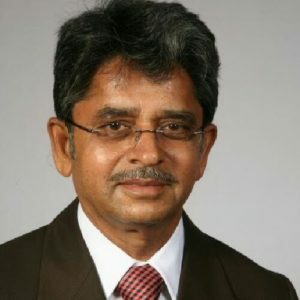 He had organized Neonatal Surgical & Intensive Care Units at Niloufer Hospital & Institute of Child Health, Hyderabad and Organized 36 bed pediatric surgery specialty with twin-theatres, Neonatal surgical I.C.U, Post-operative peiatric surgical I.C.U; at Praanadah specialty hospital, Madhapur, Hi-tech city area, Hyderabad. Currently, he is a consultant at Praanadah Hospital & Nice Children Hospital. Dyah Kanya Wati did her Ph.D from University of Indonesia Faculty of Medicine, Jakarta, Indonesia. Presently she is Pediatric Critical Care Consultant at Medical Faculty Udayana University, Bali-Indonesia. She has attended many national and international conferences and honoured with many awards. She has many publications.